This victorian day bed dates back to approximatly 1890. This particular day bed has its original horse hair upholstery, which will be totally stripped off, and the frame will be treated to new upholstery and full restoration. The walnut turned legs will receive new french polishing. The day bed sits upon its original brass and ceramic casters. 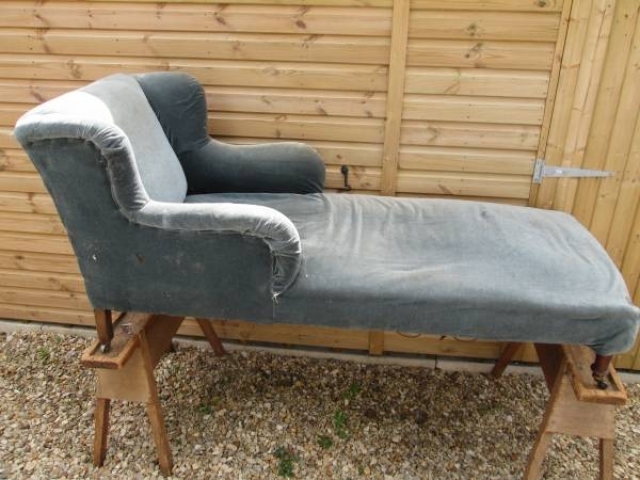 Just waiting to be restored and re-upholstered in your choice of fabric or leather. Please phone for more details. Dimensions - height 88 cms, width 190 cms, depth 77 cms.